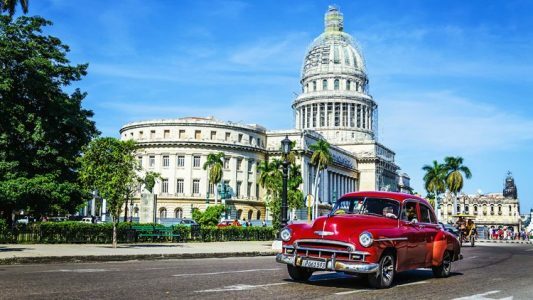 (Travel Weekly) The Obama administration is trying to make it possible for travelers to fly on regularly scheduled commercial flights to Cuba by year’s end. The Wall Street Journal reported Tuesday that the administration is working on a deal to establish regular air service between the U.S. and Cuba as early as December for the first time since the Cuba trade embargo was enacted more than 50 years ago. The Obama administration relaxed regulations on travel to Cuba as part of a diplomatic thaw between the two nations in January, and airlines and GDSs have already begun preparing for the possibility that direct fights could become legal options for travelers. To read more, click here.